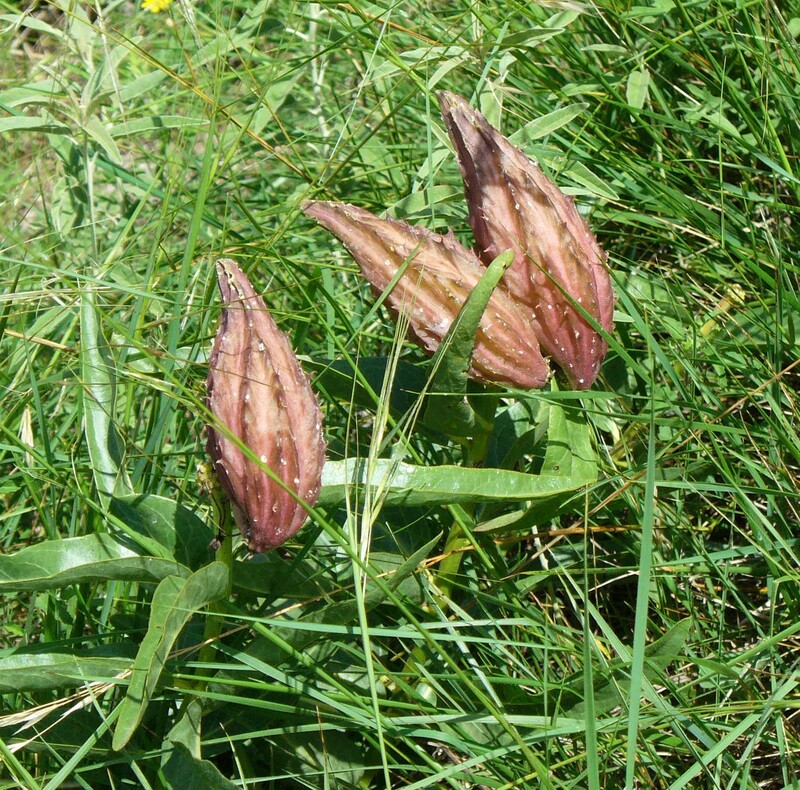 This unusual looking plant is known as antelope horn and is a member of the milkweed family. 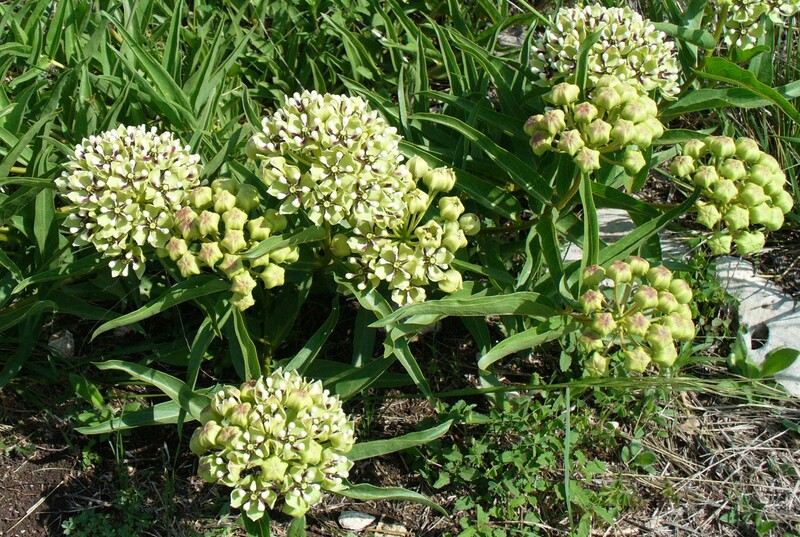 As you may remember from the post on building a butterfly nursery, the leaves of the milkweed plants are a favourite food of monarch caterpillars. Like many drought tolerant plants, the antelope horn has a long tap root that can reach far and deep seeking water, even in the heat of our Texas summers. Antelope horn-shaped seed pods give the plant its name. A bit of trivia from our friends at the Native Plant Society, during World War II, the fluffy silk-like material cocooning the milkweed seeds inside these pods was used to make life jackets float better. The material was 5 to 6 times more buoyant than the material they had been using, cork.